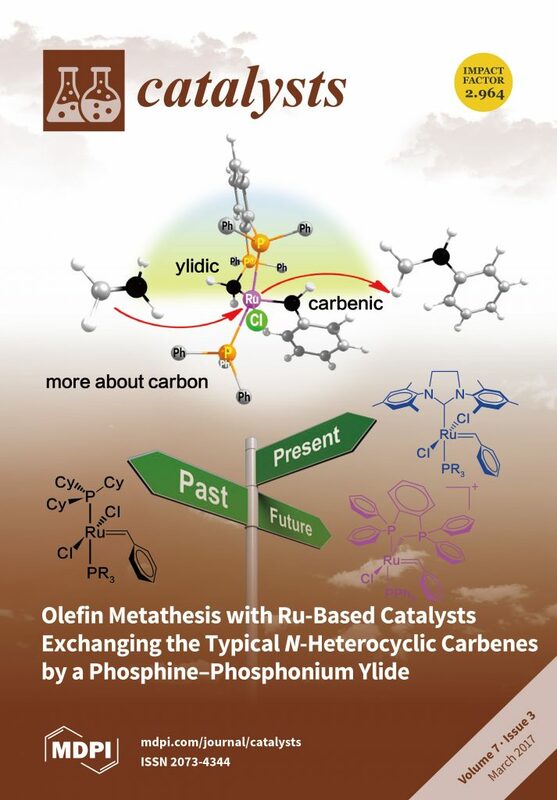 Density functional theory (DFT) calculations have been used to describe the first turnover of an olefin metathesis reaction calling for a new in silico family of homogenous Ru-based catalysts bearing a phosphine–phosphonium ylide ligand, with ethylene as a substrate. Equal to conventional Ru-based catalysts bearing an N-heterocyclic carbene (NHC) ligand, the activation of these congeners occurs through a dissociative mechanism, with a more exothermic first phosphine dissociation step. 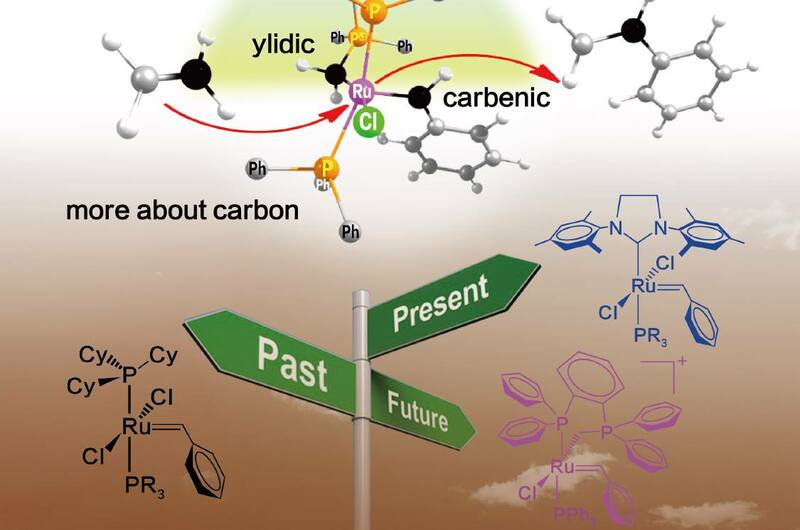 In spite of a stronger electron-donating ability of a phosphonium ylide C-ligand with respect to a diaminocarbene analogue, upper energy barriers were calculated to be on average ca. 5 kcal/mol higher than those of Ru–NHC standards. Overall, the study also highlights advantages of bidentate ligands over classical monodentate NHC and phosphine ligands, with a particular preference for the cis attack of the olefin. The new generation of catalysts is constituted by cationic complexes potentially soluble in water, to be compared with the typical neutral Ru–NHC ones.